Product prices and availability are accurate as of 2019-04-11 18:19:19 EDT and are subject to change. Any price and availability information displayed on http://www.amazon.com/ at the time of purchase will apply to the purchase of this product. Want your space to look warm and inviting? 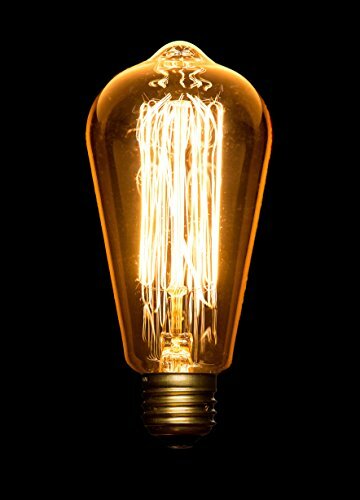 Try vintage style Edison Bulbs. 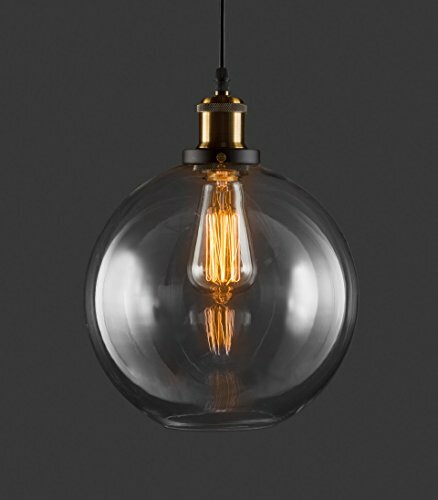 Our light bulbs offer more than just light, they set the mood of the room with their soft glow. 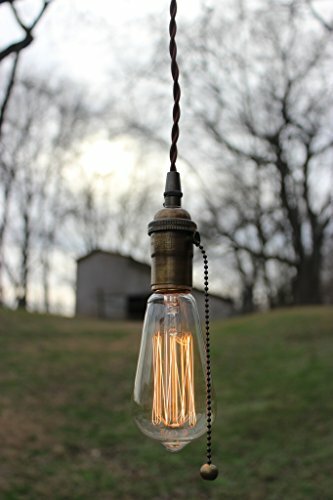 Why choose Vintage Inspired Light Bulbs by LightLady Studio? Our goal is to provide excellent customer service to our clients. Our passion is offering unique lighting and accessories you won't find in your local home improvement store. 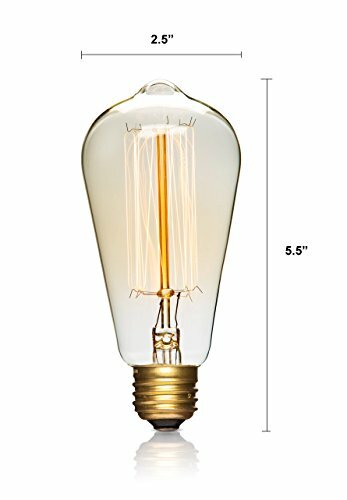 Unlike others, we actually work with and use Edison bulbs in our lighting products everyday and have extensive knowledge in lighting design and the lighting industry. We strive for 100% customer satisfaction. If your light bulbs are damaged or broken in transit or if you're not 100% satisfied with your purchase for 1 year, we will refund or replace them. 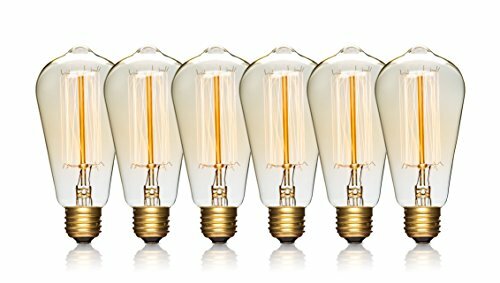 GIVE YOUR ROOM A WARM GLOW - Edison bulbs feature a beautiful non-glare, warm light for up to 3000 hours HOW BRIGHT ARE THE BULBS? 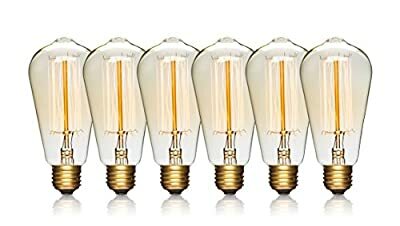 - Regular 60 watt bulbs put off a bright white light - Edison bulbs have a softer, yellow appearance SPECIFICATIONS - 60 watts, Incandescent Bulbs, 110-130 Volts, 230 Lumens (brightness), E-26 regular base which can be screwed into everyday lighting fixtures, Squirrel Cage (vertical design within the glass), Dimmable (can be placed on a dimmer switch at the wall) CUSTOMER SATISFACTION - We want you to be happy. 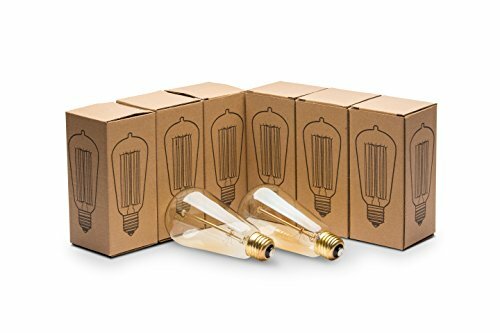 Our light bulbs are bubble wrapped and individually boxed before being placed in a secure box for shipment. If bulbs are broken or you're not 100% satisfied, please contact us from your order and we'll be glad to either refund your money or send replacements.